GSP provides preferential duty-free entry for products that are imported from more than 125 designated beneficiary countries (including more than 40 least-developed countries). 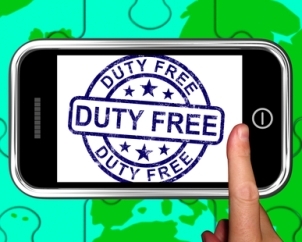 Nearly 5,000 8-digit U.S. tariff lines are eligible for duty-free entry under GSP. Qualified products include manufactured items, chemicals, jewelry, building stone, carpets, and certain agricultural and fishery products. Items such as textiles, apparel, footwear, handbags, and watches are ineligible. The top GSP products, by value, are ferroalloys ($1 billion), motor vehicle parts ($938 million), rubber radial tires ($883 million), silver and gold jewelry ($748 million), and crude petroleum ($664 million). The top GSP beneficiary developing countries include India, Thailand, Brazil, Indonesia, and South Africa. The GSP program is yet one more facet of your border transactions. If your business is importing from a designated beneficiary, then your paperwork must include GSP validation for the foreign assembler. Omitting this information at customs is a common border oversight. Having an expert overseeing your GSP transactions can make your international operations run much more smoothly (while remaining within the law). Walker World Trade is well-versed in the import business and can help you navigate the increasingly complicated paperwork that’s involved. Contact WWT today to find out if you’re in compliance.